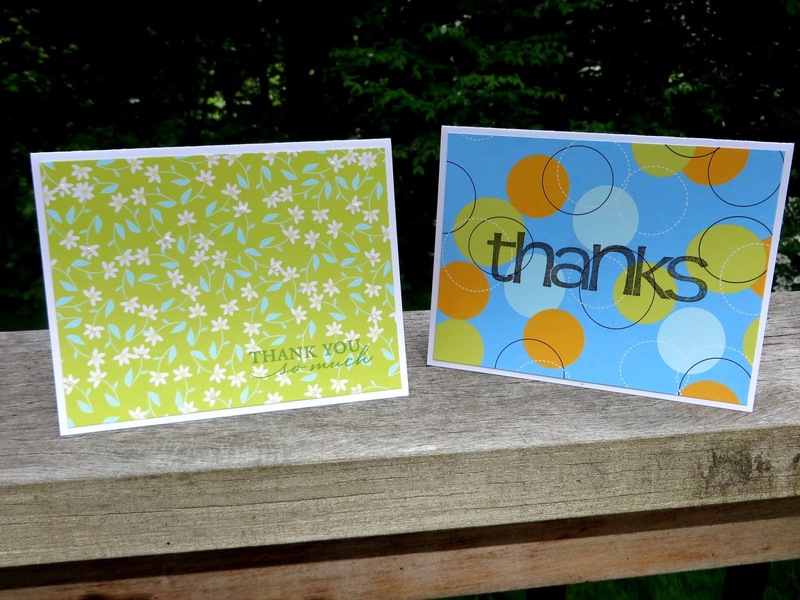 I had promised to make some handmade cards as a door prize drawing for my son's high school graduating class. I wanted to make them super quick and easy. 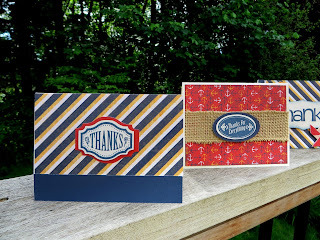 For the masculine cards I used the leftover paper from my Tommy mini-scrapbook project. 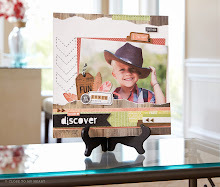 So nice to use up the scraps and stickers! I also used the big "THANKS" image from my favorite Thank You stamp set (retired) and Casual Expressions (D1525, $17.95 for 12 stamps). I also used some Burlap Ribbon (Z1760). LOVE it! Flat and bumpy at the same time. The feminine cards were even easier! A friend had given me this paper. I LOVE the colors! 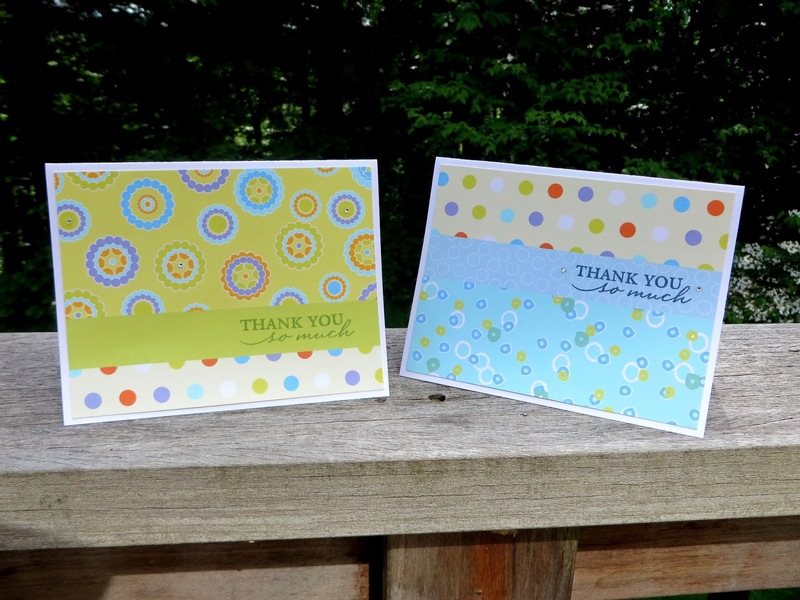 On the first two cards I just stamped the sentiments on a strip of paper and glued it down. 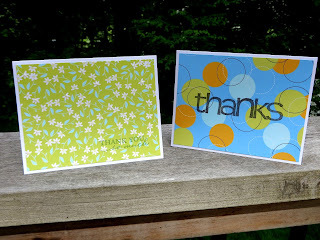 On the second two cards I stamped directly onto the paper. I LOVE easy! Of course, I embellished with Bitty Sparkles (Z1263) and Liquid Glass (Z679). No card should go unembellished, right?